We are a small company, formed to preserve, operate & hire out ex B.R. 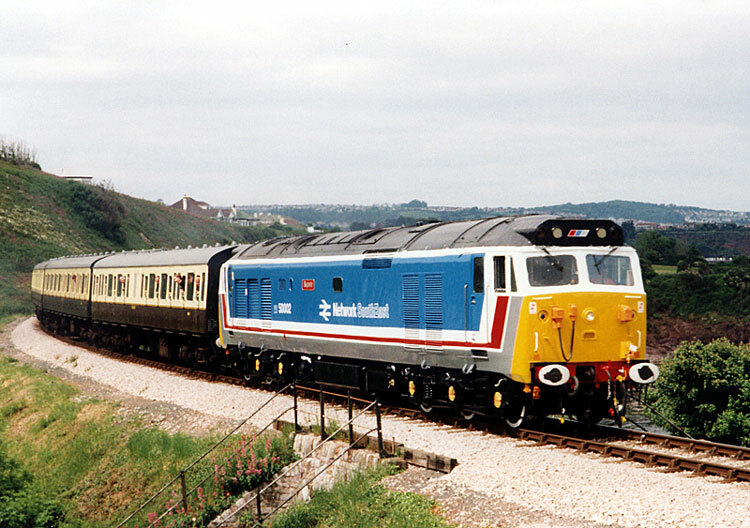 Diesel locomotives, based on the at Buckfastleigh, Devon. 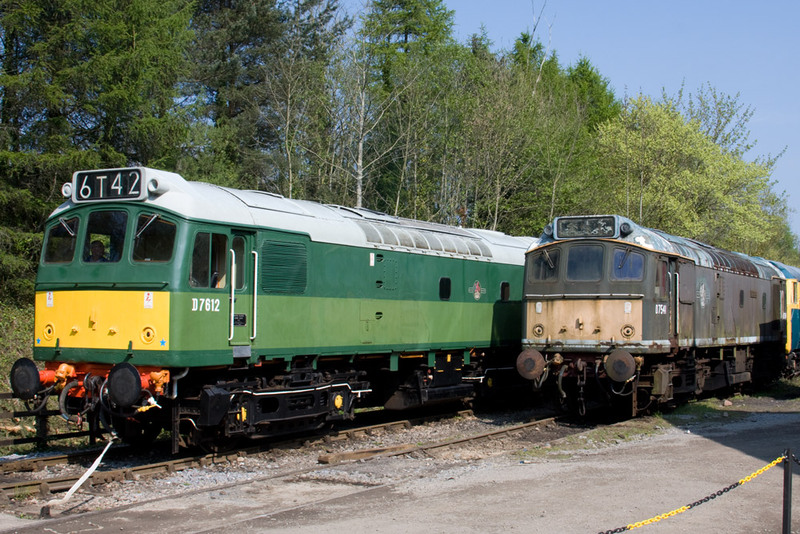 We currently own two class 25s: D7612 (25 262, 25 901), D7541 (25 191) a class 33: D6501 (33 002) and a class 37: 37 275 (D6975). 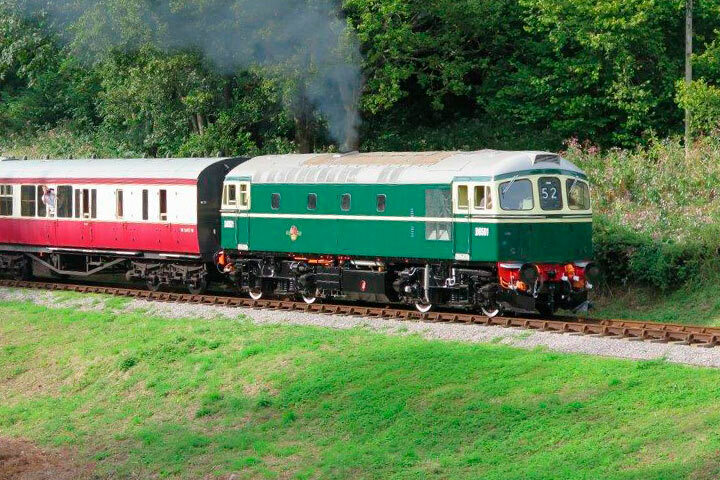 We also have under a long lease from the South Devon Railway Trust the first BR Class 122 'Bubble Car' - 55000 - built 1958. 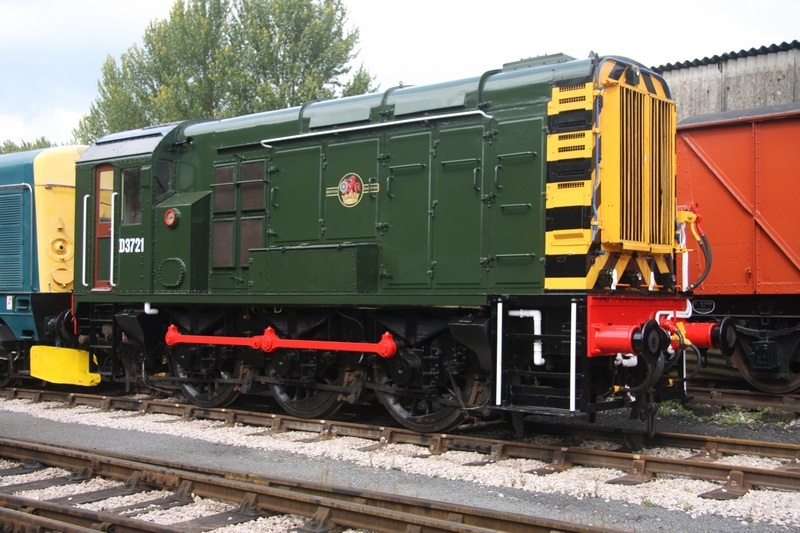 Resplendant in new Green Paint! 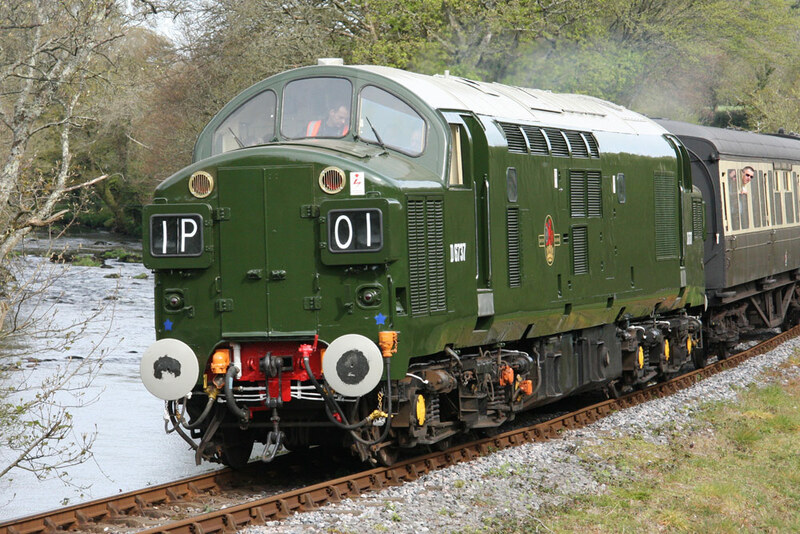 Aug 2014 ©P.Burrow 6975 at Bishops Bridge. This Website was last updated on 9th November 2017. 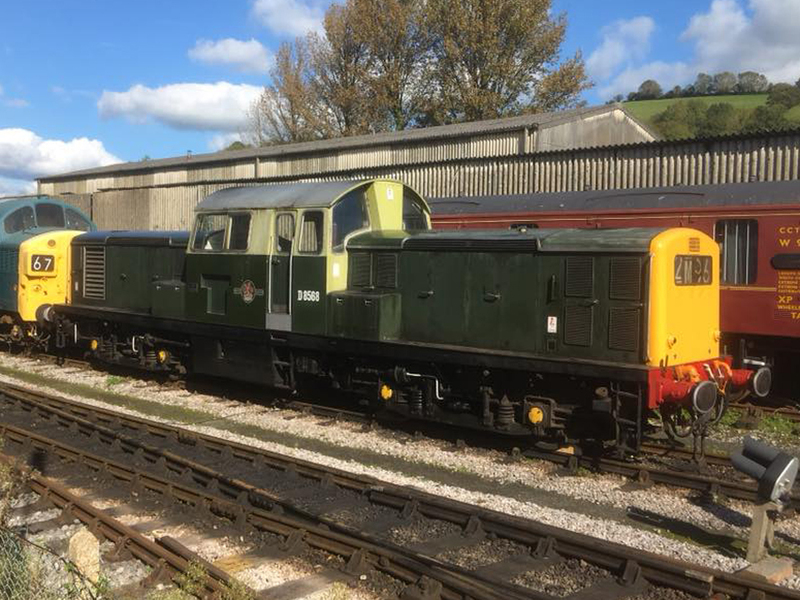 The South Devon Railway's Diesel Gala was held on the 3rd, 4th and 5th of November 2017.
and by kind permission of Great Western Railway: 08 644 from Laira Depot. 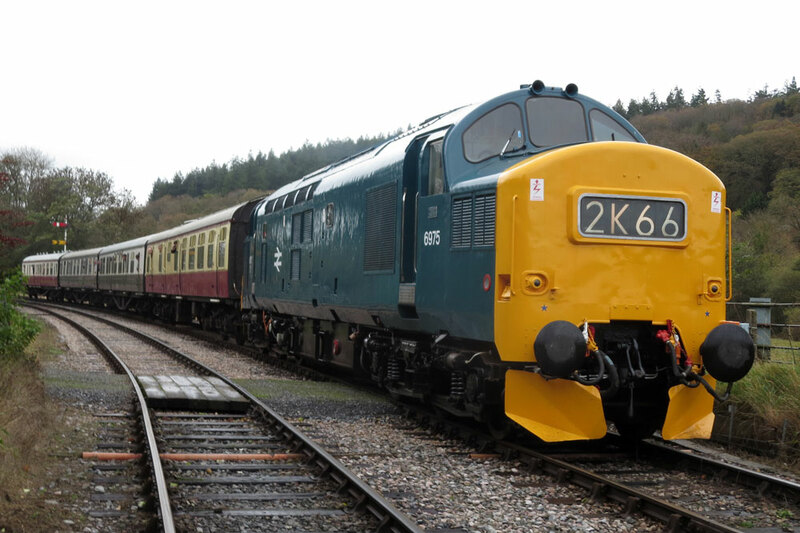 From the home fleet, we ran English Electric type 3 (class 37) 6975, BRCW Crompton (class 33) D6501, English Electric 0-6-0DE shunter (class 09) D3721, RS&H 0-6-0DM shunter (class 04) D2246 and ‘Bubblecar’ single unit railcar W55000. 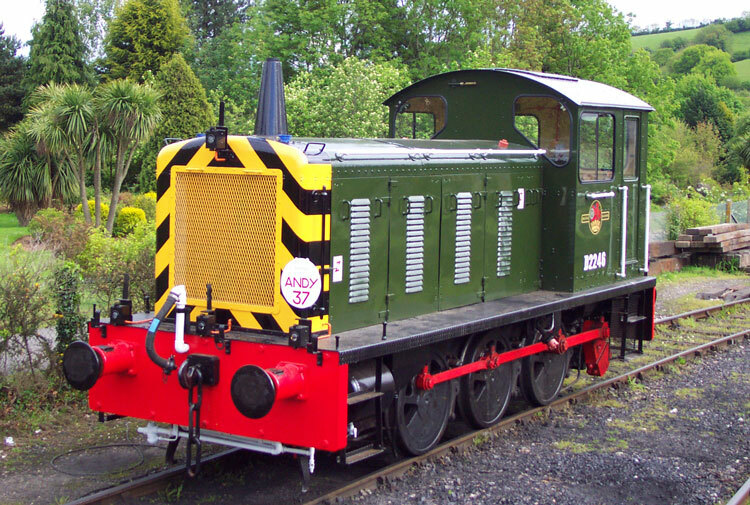 Clayton Class 17 D8568. 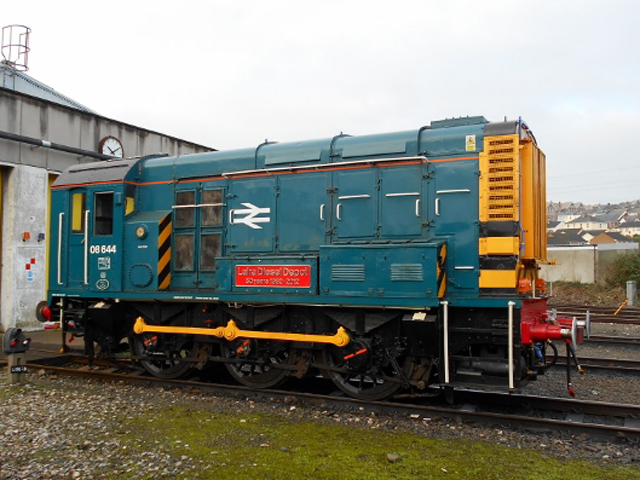 English Electric 08644 at Laira. 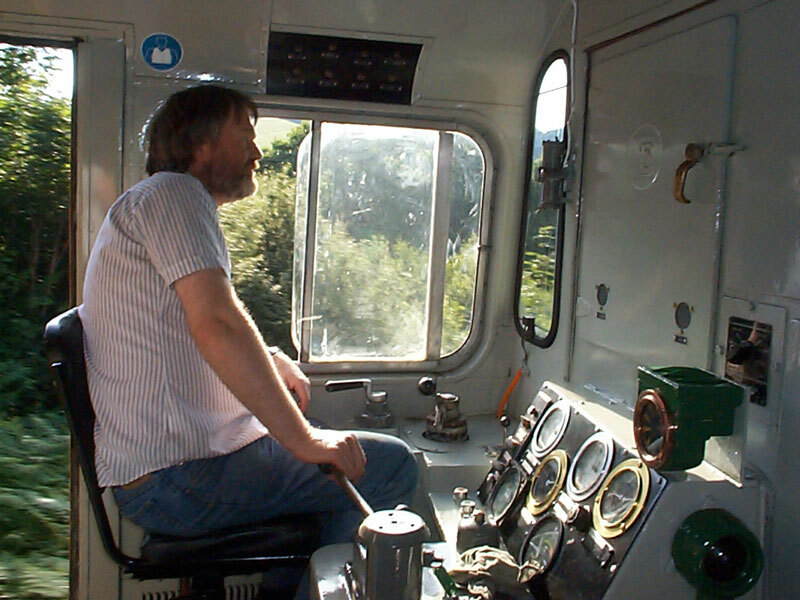 Fancy driving a 1000+ hp diesel loco? 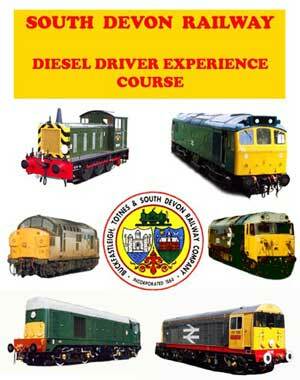 If so try one of our DRIVER EXPERIENCE days. Click on the image to the left for details. 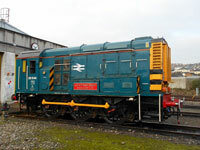 The SDR Trust own D3721/09 010 which is currently operational. D3721 (09 010) at Buckfastleigh. All pictures are taken by and © myself, Richard Bruford unless otherwise stated.